What to do if iphone is lost? In the colossally fast pace of life of a modern society without constant mobile communication, as without hands, this is not an exaggeration. The current phones or, as they are called due to the functionality, smartphones are personal computers in miniature. His loss or theft can seriously undermine the established rhythm and activity, and such situations are far from uncommon. What to do then find lost iphone (on it we focus attention of readers), the speech will go further. Hope for a happy chance and the consciousness of citizens who may find and return the lost apparatus. Try to call from another number and again hope that someone from that side will answer and return the smartphone. Contact the Ministry of Internal Affairs with a statement about the loss and hope for their desire to facilitate the search. As you can see, the prospects are not bright. Better with this question things are with the owners of the iPhone, because their manufacturer - the North American corporation Apple - offers a number of interesting solutions. In all iPhones, which, by the way, work under the control of the proprietary iOS operating system (iPhone OS), starting from the 5.0 version of this OS, the function “Find iPhone” (original version - “Find My iPhone”) is in effect. It allows you to track the location of the gadget by identifying signals by geolocation and positioning in the presence of an active connection to the Internet. In addition, each iPhone, when turned on and connected to the Internet, goes through an activation procedure with entry into the Apple ID database. This procedure is such a security system, which should prevent any attempts of unauthorized use of the smartphone by third parties. So, each owner of the iPhone gets into the hands of not only the best in all senses device, the flagship of the industry and the desired object of attention for the majority of the audience, but also an advanced mechanism for its search in case of loss or theft. 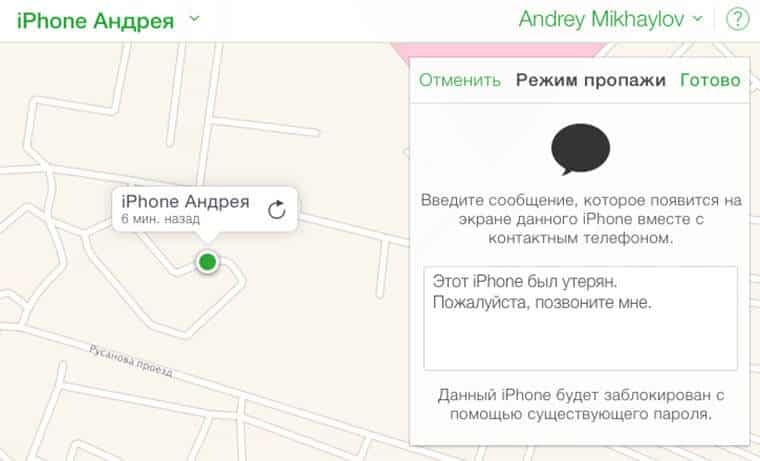 The “Find iPhone” function itself is not a working default. Nevertheless, it can be activated after the first turning on of the smartphone (this is strongly recommended by representatives of the manufacturer’s company). To do this, on the desktop, click the “Settings” icon or launch it via the program menu. Here you need to find and select the “iCloud” tab, and in it set the indicator in front of the “Find iPhone” item to the “on” position (background lighting in green). 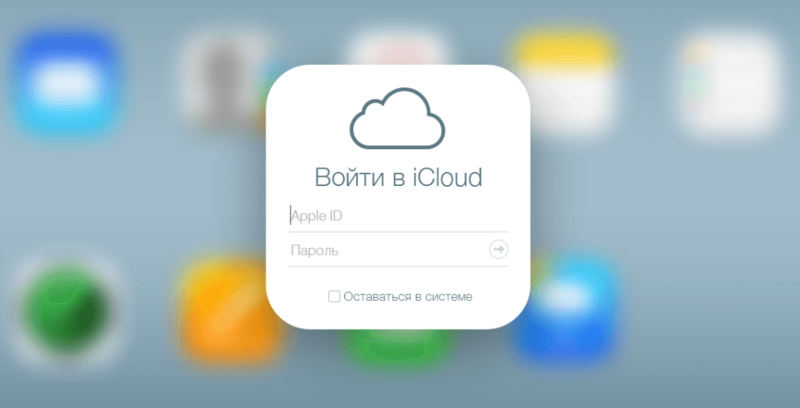 The iCloud service is a cloud server used to store and exchange data between Apple products. Therefore, it can unite not only the iPhone of a particular person, but also an iPad, Macbook. All of them can be activated on the service, protect and search in case of loss. If you go back directly to the smartphone and the "Find iPhone" function, it turns out that it can be either activated by the owner or not. 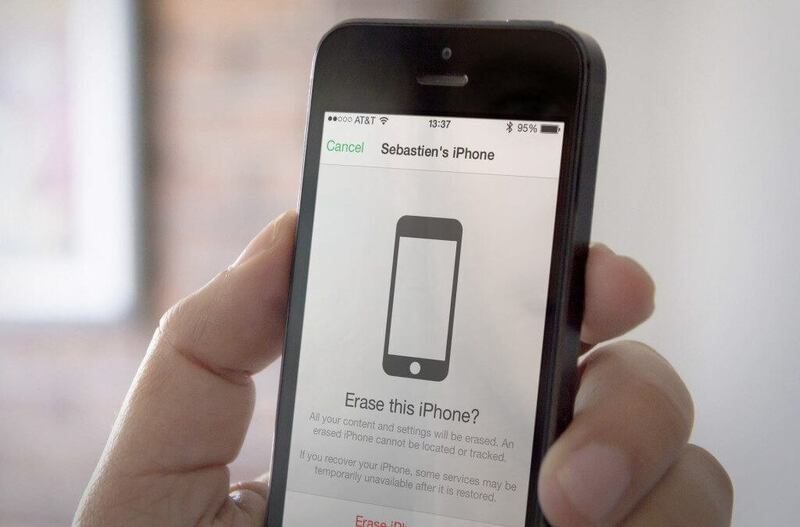 These two options, in many respects, determine the order and nature of actions in case of loss of a gadget. First of all, consider the case when the owner of the new gadget did heed the recommendations of the developer and included the search beacon and its protection. From a logical point of view, this approach is reasonable, since the cost of a gadget is much higher than the industry average and losing it without using protection tools is at least not reasonable. During the activation of the “Find iPhone” function, you should also note that the “Password Protection” item is located in the “iCloud” tab. It allows you to further protect your gadget in case it falls into the hands of not some "layman", but an experienced person who can easily disable the search beacon. The first thing to do in case of loss / theft of the iPhone is to log in to the iCloud system (on the site of the same name). This can be done through a browser on any personal computer, laptop, tablet or smartphone that supports an Internet connection. Owners of Apple gadgets can log in via the app of the same name, which can be downloaded via the AppStore service. The login dialog looks like this. As you can see, here you will have to enter your login and password, which were previously used to activate the smartphone in the Apple ID database. 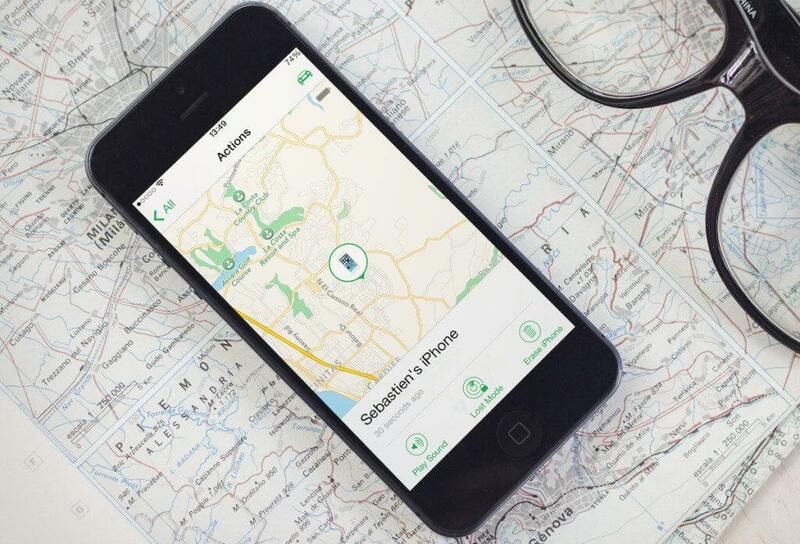 Next, select the icon "Find iPhone", which will open the search interface. 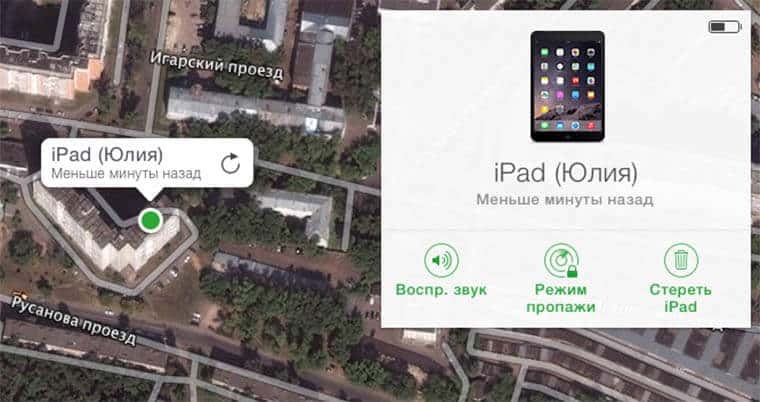 At the time of login iCloud Lost iPhone connected to the internet (it is possible that he is somewhere in the house, on the plot, or the attacker is already trying to use it for its intended purpose). In this case, the map will display its location in real time. The smartphone is offline. In this case, the map will mark the place where the Internet connection was last made. 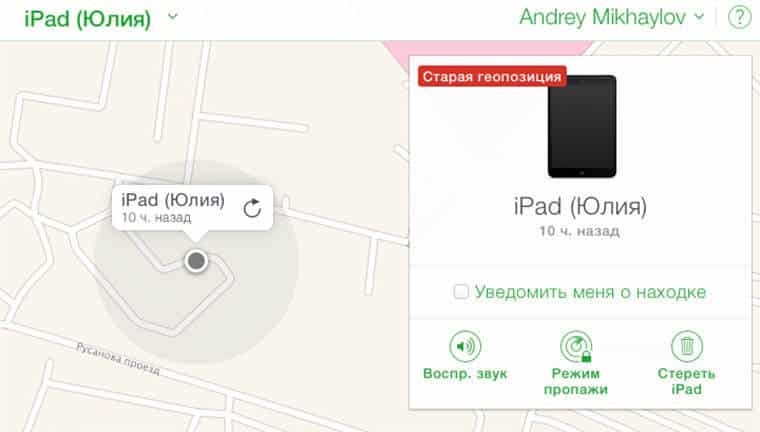 If at this moment someone finds it and tries to use the connection, then the owner will receive a notification on the iCloud server. It's enough to put a tick in front of the item "Notify me about the find." As you can see, there are three icons in the action selection menu. When this feature is activated, a request to activate a loud beep will be sent to the lost iPhone. This will help detect the gadget if it is in an inconspicuous place. But this method is valid only when there is an Internet connection. In this situation, this is the first step that needs to be taken if there is no certainty that the gadget is somewhere nearby. After selecting the mode, the user will be prompted to enter a text message with contact information, which will be sent to the lost smartphone and will be displayed on its screen. In parallel, the gadget itself will be locked with an 4-digit password. If it was not entered earlier when you activate the search service, you will have to do it at this stage. If the device is not connected to the network, then all the above actions will be carried out when you first connect to the Internet. Feedback of the system with the owner of the lost gadget will be conducted via email. 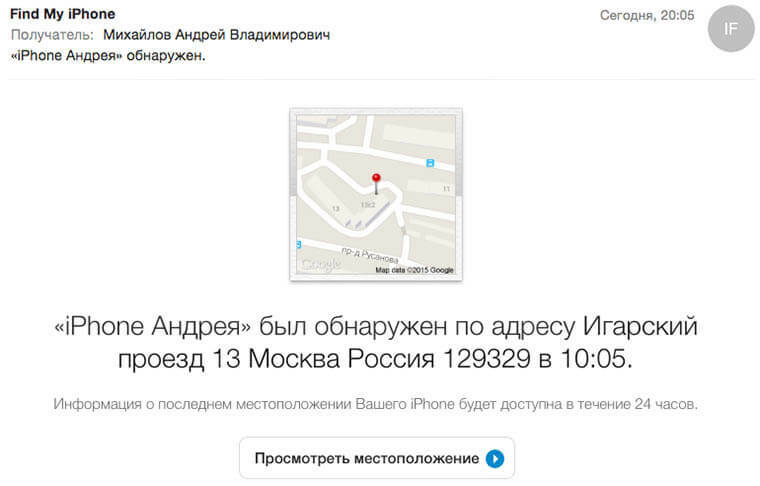 When it is detected by the geolocation system, it will receive a corresponding letter with the exact coordinates of its location. Further actions will depend on the owner: either he will try to find the offender, or transfer the data to the competent authorities. This is a mode that allows you to completely delete the personal data of the owner of the smartphone, if you are not sure that he will be found at all (for example, the system shows that he is abroad). As in the previous case, all actions will be carried out only after connecting the gadget to the Internet. It should be borne in mind that this action will lead to the fact that the geolocation system will no longer be able to track the smartphone. However, deleting the account of such an iPhone is not recommended. In this case, all locks are removed, and its new owner will be able to re-activate it freely and use it at its own discretion. If, however, the gadget was found, the data can be restored from the iCloud servers, provided, of course, that they were synchronized and backed up earlier. 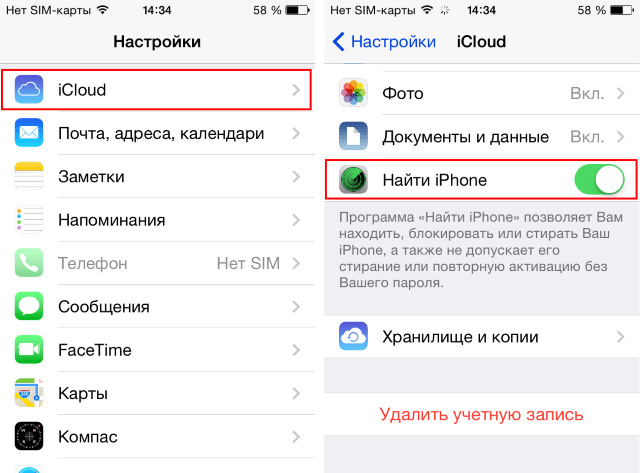 In that case, when the owner of the smartphone did not listen to the recommendations of the developer and did not activate the search service, the iCloud server will not help him in the search process. Thus, a person will be in a situation where he has lost the usual gadget with all the attendant circumstances. It is possible and necessary, of course, in this situation to call your number from another phone, hoping for the favor of the one who will find it. If this does not work, then without delay you need to replace the passwords of all used accounts (Apple ID). In addition, you need to contact the mobile operator whose services are used by the subscriber, and request a SIM card lock. Well, you should not ignore the Ministry of Internal Affairs - even in their desire to look for phones and there is a huge doubt, but the attempt is not torture. Moreover, given all the iPhone lock systems, it is easier to give away than to use it for its intended purpose. 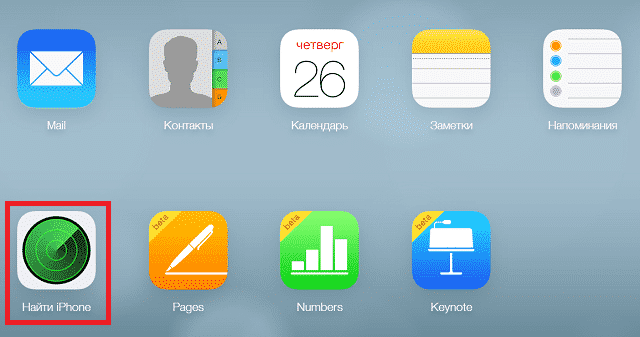 Appsgames⟾Useful iOS⟾What to do if iphone is lost?